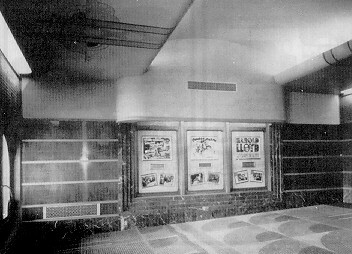 ABOVE & RIGHT The Silver Theatre in 1938, soon after its construction. The Theatre is one of the best remaining examples of art deco cinema architecture in the Washington area. It was designed by John Eberson, who was hailed as "the dean of American Theater architects" by Theatre Catalog, a trade publication. When the theatre opened, the Washington Post published a special section about the theatre and the nearby shopping center. 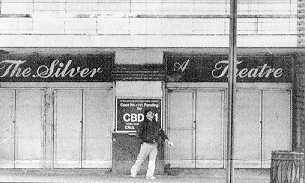 The Silver Theatre, unused and in need of renovation. Also see Inside the Silver Theatre. 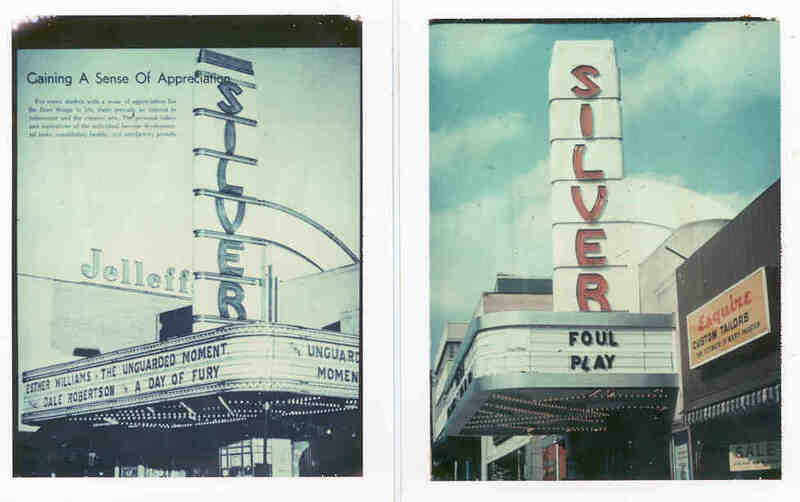 LEFT Silver Theatre marquee on the left is from the 1957 Montgomery Blair High School Silverlogue yearbook (photo probably taken in 1956). The other photo is from 1978. The plaque 's commendation is somewhat parochial for, if any group deserves to be mentioned by name for the pivotal roll it played in the Silver's preservation, it should mention the Art Deco Society of Washington. 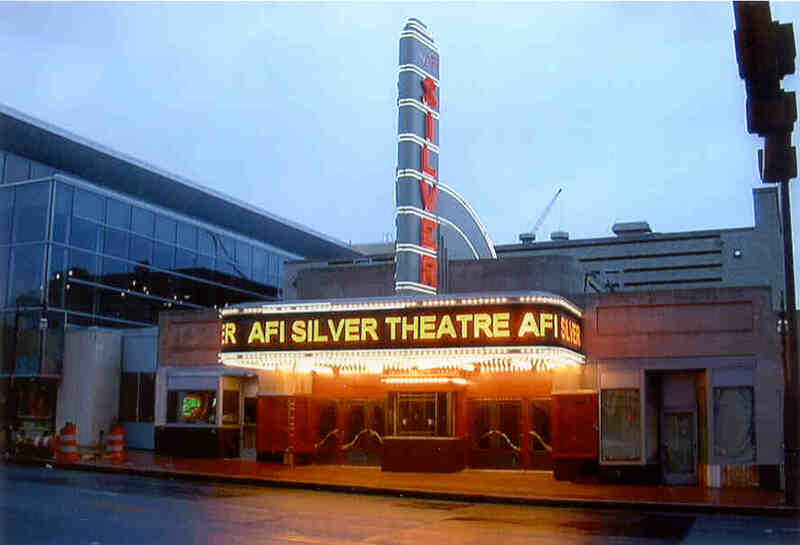 Although the 1938 Silver Theatre and Silver Spring Shopping Center complex had been listed on Montgomery County's Locational Atlas and Index of Historic Sites in 1981, it wasn't until 1984 when the ADSW proceeded to initiate protective status for the structures with a hearing before the Historic Preservation Commission. Led by founder and president Richard Striner, the ADSW felt that the complex, designed by nationally known theatre architect John Eberson, should be restored and incorporated into any future new development. When the owner found out about the September 6th HPC hearing, an order was given to commence destroying key architectural details in the hopes of permanently damaging the complex's historical and architectural"integrity." First to go was the soaring white marquee tower emblazoned with S-I-L-V-E-R, ripped from the building and cut apart with acetylene torches. Next, workmen bearing sledgehammers brought down the rear-terraced chimney, positioned like the mast of a ship at the theatre's rounded end. Glass paneled trim quickly followed the chimney. A mock-porthole window located on the front corner of the building was filled in with mortar. Concrete was even poured on the threshold of the Silver's front set of doors, burying a geometric red, green, blue, white, black and red mosaic design. The ADSW immediately protested the desecration and on Labor Day weekend a group of about a dozen members held an on-site demonstration protesting the wanton destruction. Carrying signs that read, "Stop the Destruction" and "The Tarnished Silver Can Shine Again," protestors succeeded in halting the demolition. Even though the destruction of the details had been so complete, the ADSW knew that all of it could be recreated because copies of Eberson's original blueprints had been acquired. An additional ten years of grueling preservation advocacy by the society followed and on February 1, 1994, the Montgomery County Council voted unanimously to add the complex to the county's Master Plan for Historic Preservation. When no developers stepped forward to undertake the cost of restoring the theatre, the Montgomery County government acquired it in 1996. Two years later the county signed an agreement with the American Film Institute to restore the theatre and to subsidize the theatre's operations in the first few years. Originally budgeted between $4 million and $5 million, the cost of the restoration, which recreates about 90% of how the theatre appeared when it opened in 1938, quickly blossomed to four times that amount. But oh, what our tax dollars have bought! In addition to the restored 400-seat main theatre (which originally accommodated just over 1000 seats - the all new plush seating is designed to welcome "wider" 21st century derrieres, along with that all-important cup holder! ), there are two additional screening rooms with stadium-style seating, one featuring 70 seats and the other with 200 seats. Technical facilities utilized at the AFI Silver include film formats from 8 to 70mm, high-definition digital cinema video projection, broadcast quality video recording and distance learning capabilities via satellite, fiber and the Internet. There will even be a café and the requisite gift shop. the Silver Theatre opened its doors to the public for the first time on September 14, 1938 with a screening of the Warner Brothers film Four Daughters, starring John Garfield and the Lane Sisters (Priscilla, Rosemary and Lola with Gale Page filling out the roll as the fourth daughter). 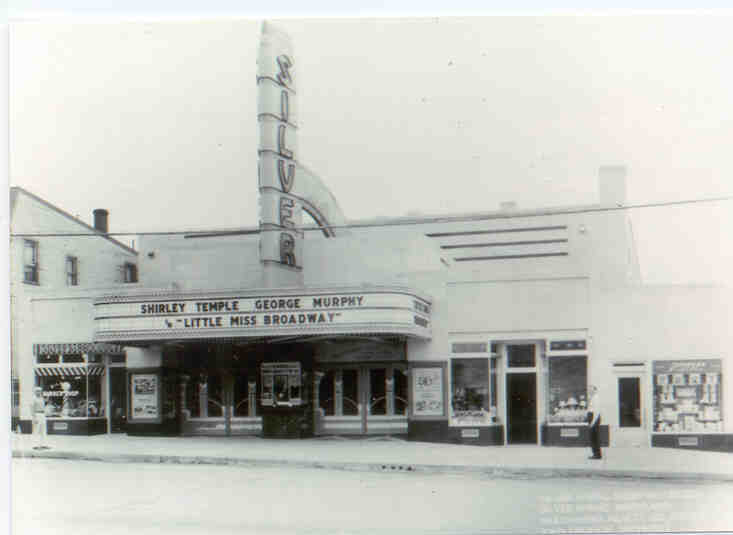 A photograph of that opening night marquee does not exist but two days later, when Shirley Temple and George Murphy opened in Little Miss Broadway, this "Then" photographed was taken by owner Alexandria Realty Co. to document the theatre. The "Again" image was taken at dusk on March 30, 2003. The traditional marquee upon which was hung individual plastic (originally metal) letters has been replaced by an electronic digital version. No longer will a theatre employee climb up a ladder, in all sorts of weather, to evenly position each letter of a film's title and the name(s) of its star(s) (imagine how long it must have taken in 1972 for the Joanne Woodward film The Effect of Gamma Rays on Man-in-the-Moon Marigolds). 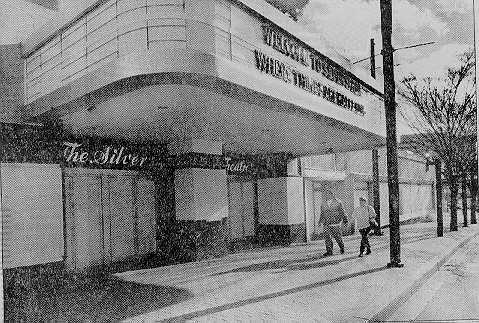 The first film screened in the "new" Silver Theatre on April 4, 2003 was 1943's The Ox-Bow Incident, chosen by actor Clint Eastwood who attended the opening and walked across the what-used-to-be multi-colored threshold (one of the features unfortunately not recreated). 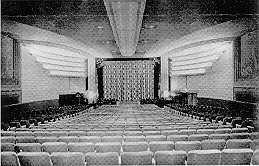 But unlike the threshold, the rest of the theatre has been superbly recreated and awaits your return to 1938 and the magic of film. LEFT Photographed March 30, 2003 by Jerry A. McCoy. BELOW Photographed September 16, 1938.